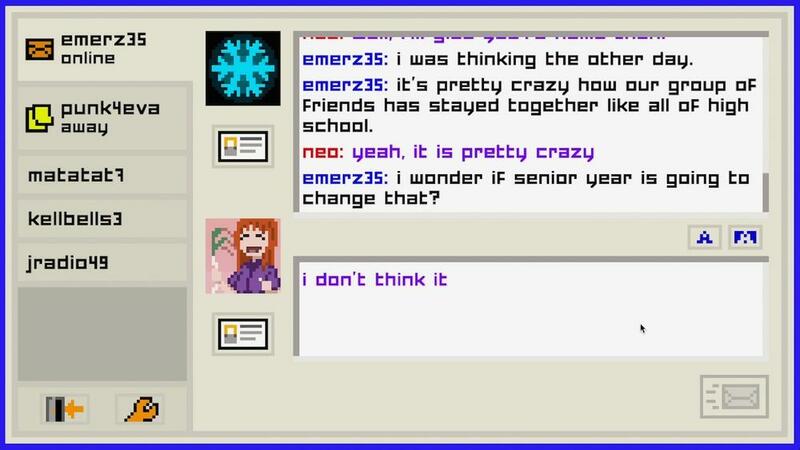 Emily is Away Too is the spiritual successor to the critically acclaimed original. Message both Emily and Evelyn as you determine the outcome of your senior year. Extend the story past the chat window with youtube links, facebook profiles and file transfers. And most importantly, change your text color to lime green so everyone knows you're the coolest kid in school.